As wildfires grow in number and size, drones could drastically change the nature of the fight. In their losing battle against wildfires, drones could be a firefighter's ace in the hole. Wildfires have grown in number and size, but fighting them has remained an old-school game that sometimes relies on paper maps and gut feelings. Accessing new technology in rural areas where forest fires rage has been a challenge, but the use of new unmanned drones could drastically change the nature of the fight. "We can get more information for less cost, and it doesn't put anyone in harm's way," said Sher Schranz, a project manager at National Oceanic and Atmospheric Administration who researches fire weather modeling. Fighting wildfires is a tricky game, since the direction and intensity of the massive blazes can change in seconds. Drones can help in two ways: They can safely gather more information about fire conditions than is currently available, and they can send that information to firefighters on the ground quickly. Today, firefighters are often sent out with tablets and smartphones so they can be updated about conditions, but those devices don't help if Internet service is weak or non-existent -- which is likely, as wildfires typically rage in rural areas where rough terrain keeps firefighters out of signal range. 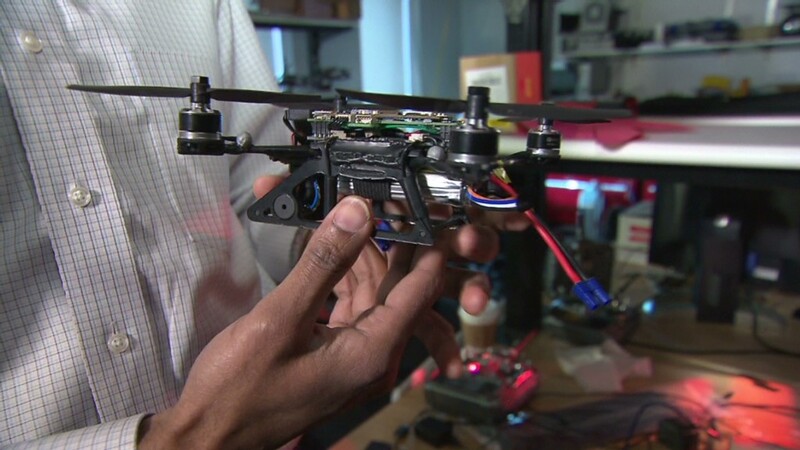 Drones can hover over dead zones, providing an Internet signal. That's something researchers are making a priority, said Tim Sexton, the program manager at the Wildland Fire Management Research Development and Applications Program. Where Internet connections are available, great information about fires can be disseminated to firefighters. Internet-based tools can help calculate the risk of a fire reaching homes or other structures, and they can determine how fires may move, depending on the weather. Currently, firefighters hike up to a ridge where they can get an Internet connection, or they'll work with the local telecom company to set up portable cell towers. But when those Web-based modeling systems aren't available, firefighters rely on "gut feelings" from those who knew the area well, Sexton said. Without an Internet connection, they have to rely on data they received that morning, which was likely gathered late the night before. Information available to firefighters is often so out-of-date, because manned airplanes and helicopter flights that take pictures and infrared images to map the fire perimeter are costly and risky, so they only fly over a fire once or twice a day. Drones, on the other hand, are comparatively cheaper, and more than one can be launched at once. Schranz estimates that a drone can cost as little as $2,000 for an eight-hour flight -- the same price for just one hour of a manned flight. "Drones can sit up there all day long, or for days," said Sexton. Drones aren't quite ready to assist in fire suppression, since the fire community is still in the early stages of making sure the technology is applied effectively and safely, said Erin Darboven from the Department of Interior. 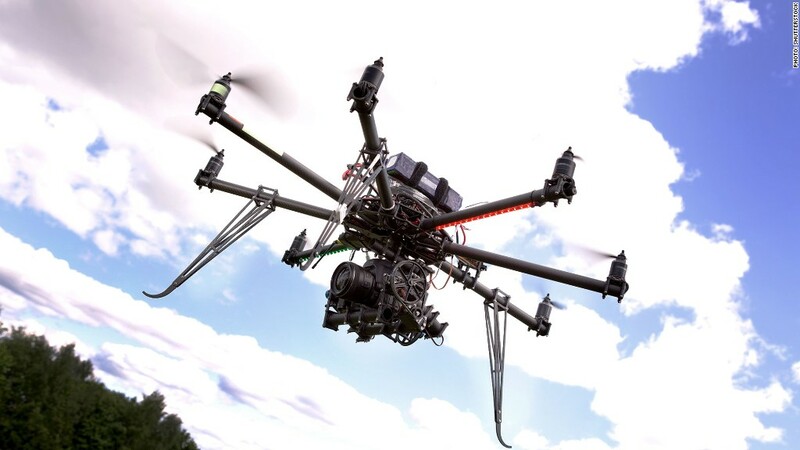 Unmanned aerial systems are strictly regulated by the Federal Aviation Administration. Fifty years ago, photos taken from a plane above would have to be dropped in a tube to firefighters below, said Sexton. The process is a lot more advanced today, but drones could be a tool that gives firefighters an edge up in the battle against wildfires.